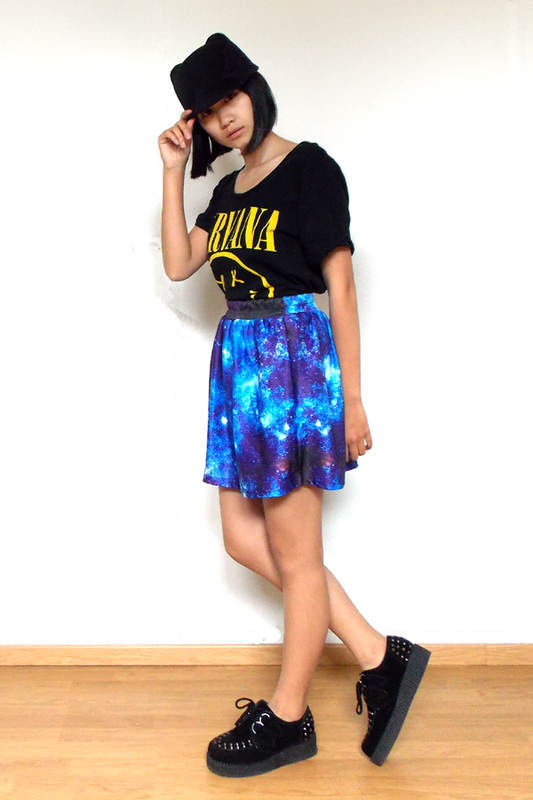 I love band T’s and galaxy prints. Why not combine them? Other news: the TITI + The German Kid campaign model competition is still going on for one last week and I need all the votes that I can get 😀 Just simply click the link below and like the picture! Beautiful dear! Thanks for stopping by on my blog! Check back soon to see me on Inside Me! Today on the blog a Giveaway! 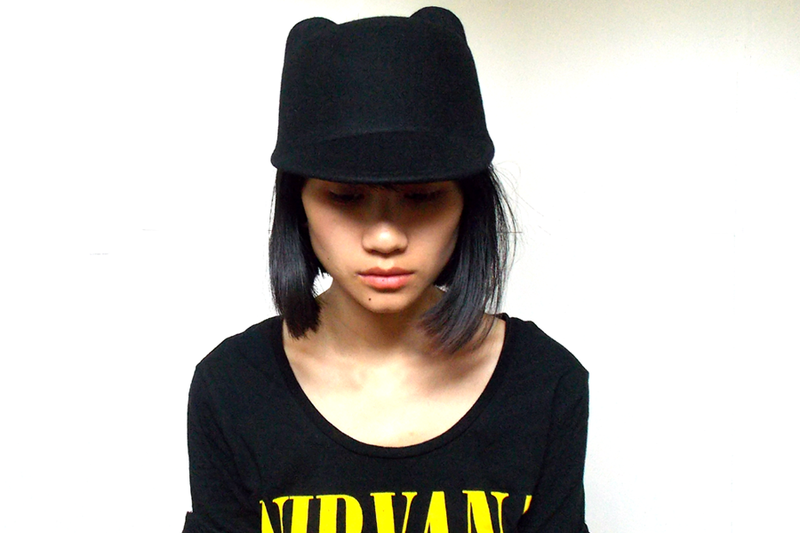 The cat hat is so cute! 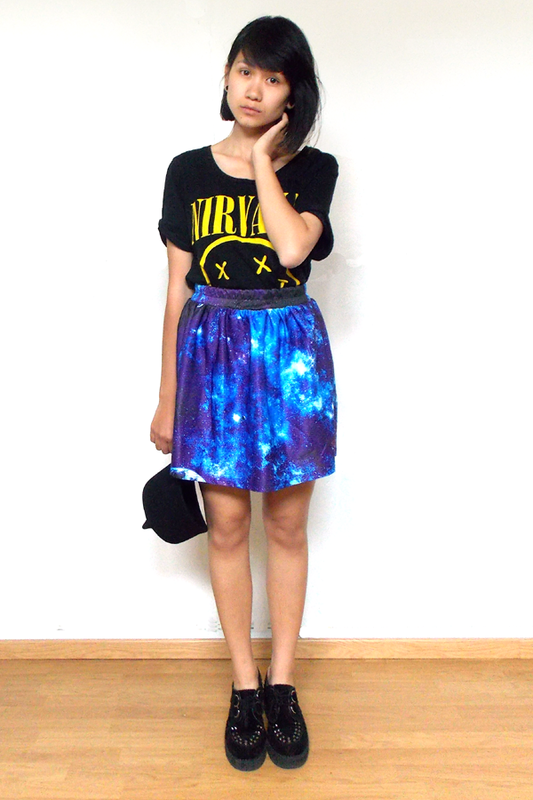 Fabulous printed skirt, you look great sweety! 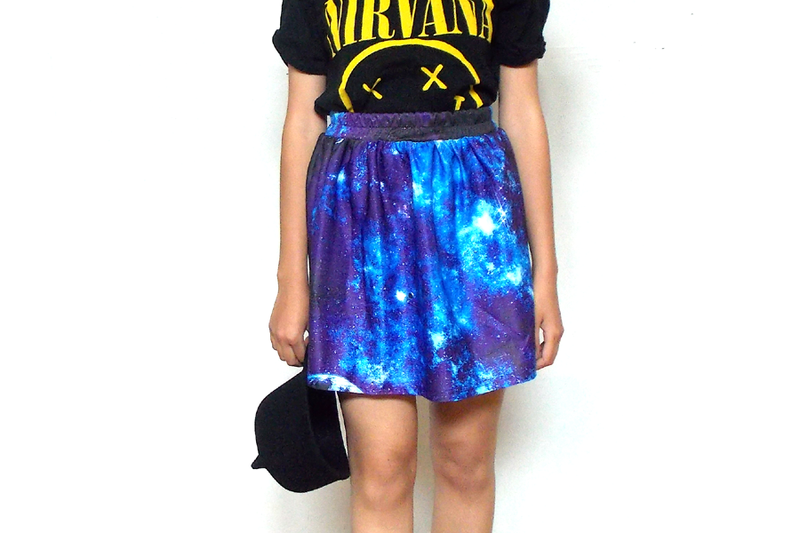 the shoes, tee, skirt and cap. Everything is so awesome! Lovely post! 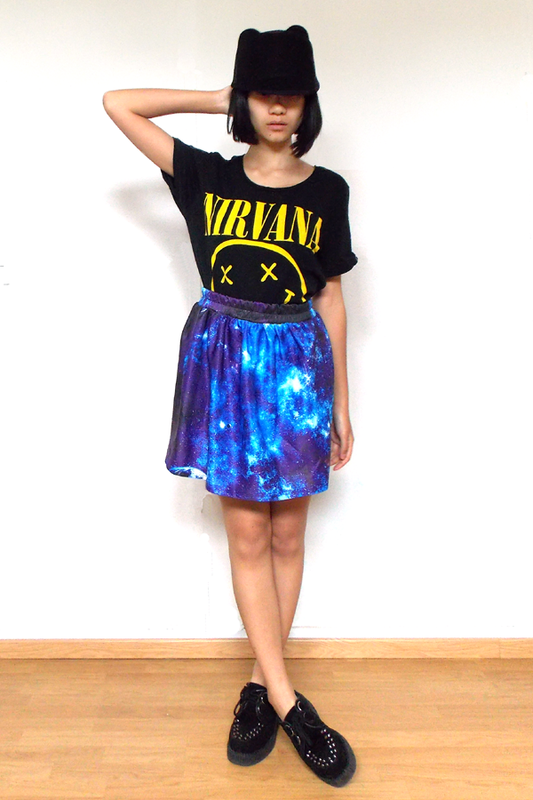 the skirt is amazing, great styling! I LOVED THAT YOU COMBINED BOTH OF THEM! FABULOUS IDEA! 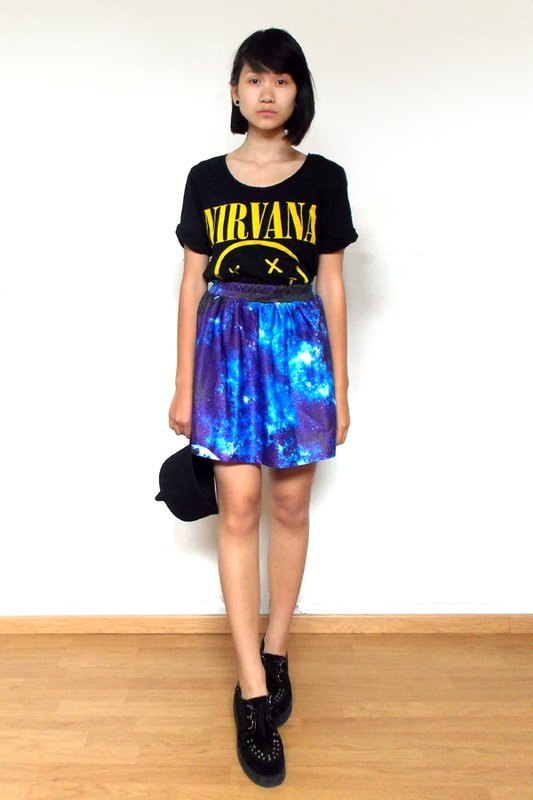 I really love this outfit this galaxy dress is awesome nd with your Nirvana tee shirt is so cool! very good, easy and confy, perfect! thanx for your comment, I follow you om bloglovin, do the same if you want! Prefect girl, love your top ! I’m crazy about your t-shirt! oeh love it! very 90s!